Feyenoord captain Jordy Clasie looks set to join Premier League side Southampton in the coming days after Manchester United completed the transfer of Morgan Schneiderlin for a fee of around £25m. The 24-year-old Dutch international has been widely tipped to replace the outgoing French midfielder on the south-coast after being left out of his club’s upcoming pre-season friendlies but who exactly is he and how will he fit into the Saints’ first XI? The Netherlands has the tallest population of any nation in the world, with the average height increasing 20cm in the last 150 years. Standing at just 5.6 feet, Jordy Clasie bucks the trend and is a contradiction to the idea that a central midfielder must be towering if he is to command the play. A tenacious, gritty, willing and battling competitor, not only does the Feyenoord skipper display desire and anticipation but also ambition further up the field and is often the catalyst for attacks with raking passes to his flanking teammates or accurate through-balls. An intelligent passer with invention and vision, Clasie has been touted as a possible replacement for Andrea Pirlo at Serie A champions Juventus and is regularly aligned with fellow diminutive playmaker Marco Verratti at Paris Saint-Germain. The Haarlem-born midfielder joined the club’s youth team at just nine-year-old and made his professional debut at the age of 18 bizarrely against Feyenoord. The youngster was sent out on loan to feeder team Excelsior for the 2010/11 campaign and started in the 3-2 victory over his parent club, dealing his owners their fourth and most recent defeat in the Rotterdam derby. An all-round midfielder, Clasie enjoyed a full season at Excelsior before being plunged into the Feyenoord first-team on his return where he succeeded all expectation to help the club to an impressive second place Eredivise finish in 2013. Despite interest from Italian side Fiorentina, Clasie continued to deliver high quality performances under manager Ronald Koeman. Not only did he prove his ability to mop up in his own half, the compact midfielder begun contributing from box-to-box, demonstrating composure in possession. Last season he averaged 65.2 passes per game – the third most in the division – with a success rate of 83%. 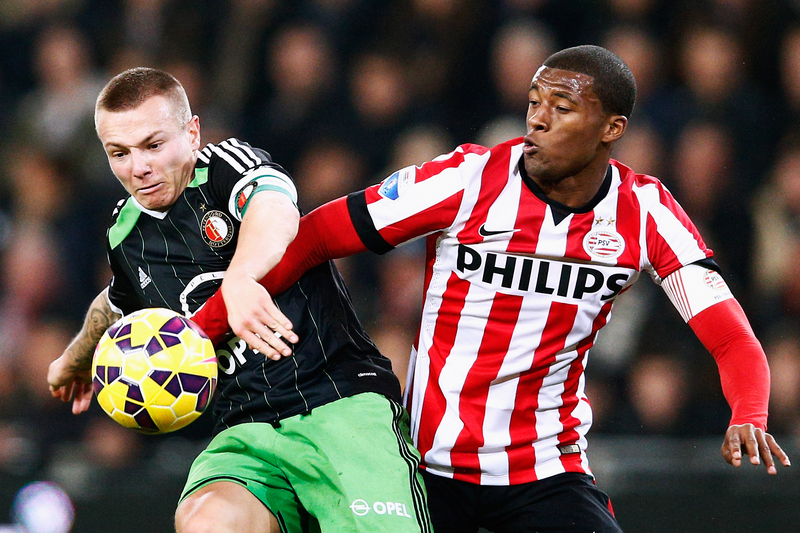 Feyenoord’s consistent European qualification drew admirers from afar yet Clasie remained loyal to the Rotterdam club after Koeman advised him to stay, promising to aid his development. He agreed and the playmaker flourished at De Kuip. However, after the exit of his former coach to the Premier League, followed by the sales of defensive trio Daryl Janmaat, Ron Vlaar, Bruno Martins-Indi and Graziano Pelle, Clasie now looks certain to join Southampton for around £10m. Following the sale of Schneiderlin to Manchester United, Clasie looks set to be the direct replacement in the heart of the St. Mary’s midfield and will hope to form a strong relationship with ‘destroyer’ Victor Wanyama, akin to his partnership with Karim El Ahmadi. Similar to Jack Wilshere’s running motion, Clasie appear to glide across the pitch in a smooth motion and can transitions play quickly, often beginning attacks by winning possession in his own half through important interceptions. Manchester United manager Louis Van Gaal is a big fan of the tough-tackling midfielder and gave him his senior international debut in September 2012 in a 2-0 win over Turkey. Southampton’s astute recent trend of unearthing gems from lesser-known clubs across Europe has seen the likes of Lovren (Lyon), Tadic (Twente), Pellè (Feyenoord) and Mané (Salzburg) all join and make an immediate impact on the Premier League. 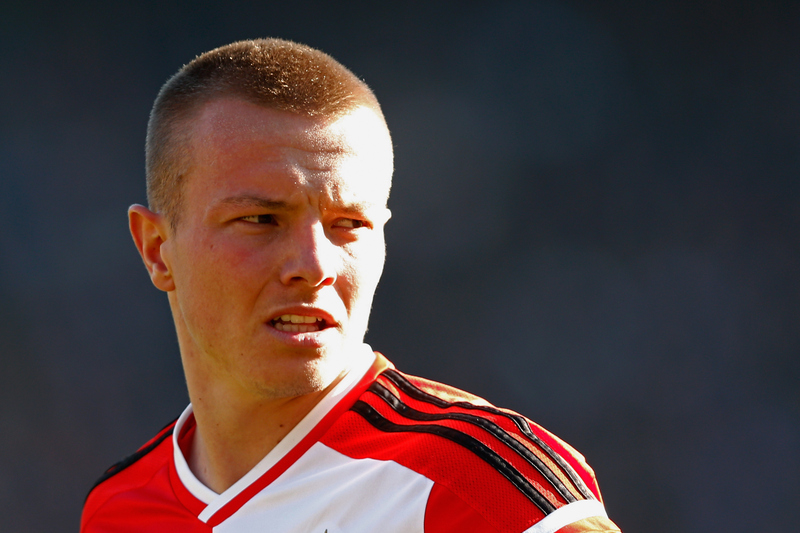 Clasie could yet prove to be another Saints player worthy of a move to a higher level.